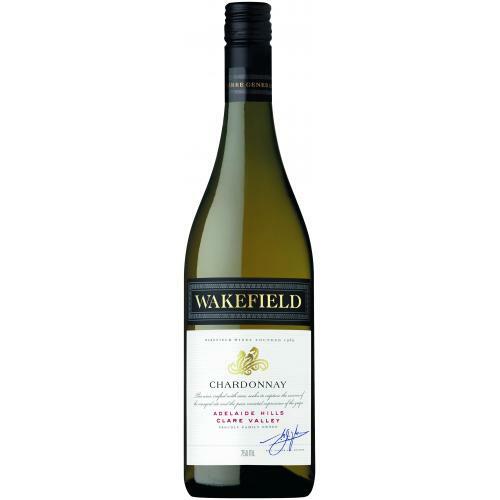 Wakefield is Australia's leading family-owned winery. Situated in Auburn in the Clare Valley, the winery is one of the most highly regarded of Australia's cool climate producers. Founded in 1969 by Bill Taylor Senior and his sons, who were wine merchants in Sydney. All three Taylors were singularly passionate about wine – and most particularly the famous French clarets such as Chateau Mouton Rothschild from Bordeaux and it was this passion that eventually inspired them to try and create stunning wine of their own. Aged in quality French oak, this complex Chardonnay has flavours of melon, peaches, spice and butterscotch with a wonderful creamy texture. Wine Colour: Pale straw with a slight green hue to the edge. Wine Bouquet: Delightful aromas of white peach, nectarines and subtle floral notes. Wine Palate: Fresh flavours of stone fruit combine with cashews and an underlying toastiness from the barrel fermentation to deliver a mouth-filling and enjoyable wine. Cellaring Notes: This wine can be enjoyed upon release but will reward careful cellaring up to and possibly beyond 2018.